Verona are one of the UK’s leading distributors of wall and floor tiles and mosaics. Produced from the highest quality of natural stone, ceramic, porcelain and glass, Verona tiles and mosaics comprise the latest cutting-edge technology whilst always in line with currently trending interior designs, patterns and shades therefore providing you with the most beautiful and luxurious in tiling ranges. With us at Building Supplies Online, you will find the Verona tile and mosaic range at the best competitive prices online with fast nationwide UK delivery. Founded in 1999, Verona tiles now lead the way with wall and floor designs and ensures that there is a tile to suit every taste, property and project. In an array of colours and finishes such as ‘lappato’ (Italian for semi-polished), fully-polished, matt and gloss it will be difficult to know which to choose but rest assured which ever tile you do opt for you know your room will look stylish and elegant with these Verona wall and floor options. Verona products are ideal for any room in the home and are no longer confined to the kitchen and bathroom. In fact, the trend for tiles has significantly moved to living rooms, hallways, playrooms and bedrooms due to their beauty and practicality over the last 2 years and this is supported by Verona offering their tiles in an array of widths, lengths and thicknesses to suit your room’s requirements. Bringing you closer to nature is the aim for our Verona range endorsing serenity, calm and luxuriousness. Using scrumptious neutral colour palettes, Verona’s tiles are available in warm and earthy tones including light and dark greys, whites, light browns, ash, black and cream. Our Verona Izen Matt Black Glazed Porcelain Tile is a stunning example of the Verona range. 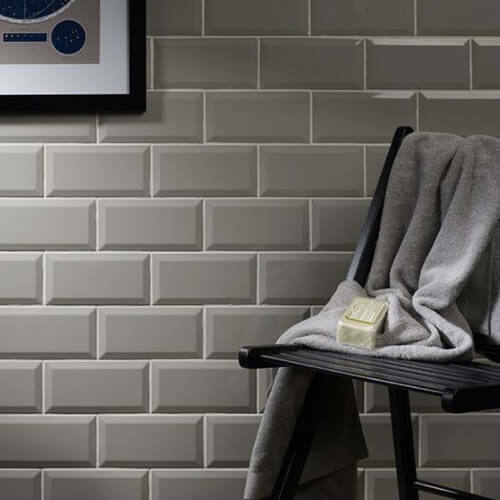 The stunning matt finish will offset any room allowing you to make a wall or floor statement and wow any guests with the intensity of this shade of tile, making it an effortless but stylish option for any contemporary room. Verona excels in their range of wood-effect tiling catalogue such their oak, walnut and even a stunningly beautiful reclaimed wood option. The beauty of these realistic wood looking options teamed with the practicality of a tile offer the best of both worlds. 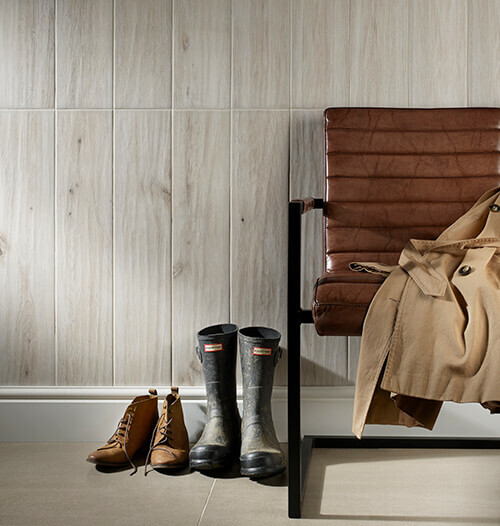 The Verona Galloway Matt Cream Wall and Floor Tile will set the tone for any room requiring a lift and increase of light. These wood-effect tiles bring in a spa-like and cosy feel with a touch of elegance and will be a winner in any rustic themed room. 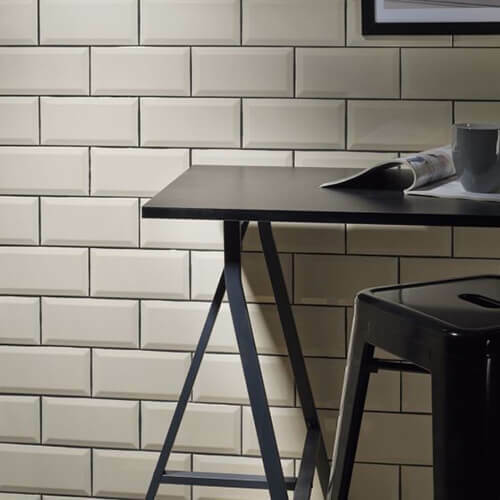 For an urban or industrial look why not opt for our Verona Metro Light Grey Ceramic Wall Tile with a stunning gloss finish. Sleek and sophisticated these tiles will add a high-quality finish to your chosen space. 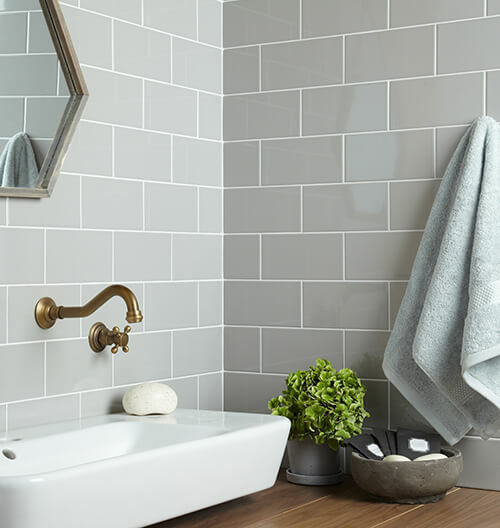 As well as looking great in a contemporary room these light grey tiles will also look the ultimate in luxury when teamed with traditional and classic furniture and accessories to bring out a timeless and elegant décor. These Verona Central Gloss Light Grey Ceramic Wall Tiles will provide a striking look when teamed with natural stone or wood effect floor tiles for that ultimate look and feel of beauty, this combined look can be seen again and again in design publications currently. Or, if you are wanting a look that says it all, the beautiful marbled effect tile such as our Verona Valletta Statuario Polished Wall and Floor Tile will not fail to make a grand statement. Statuario is a white marble from Italy, one of the most beautiful marbles found so having this made available in a tile form will add opulence and glamour to your chosen room as well as wowing any guest. The Verona Kenton Mixed Grey Glass/Stone/Metal Mix Linear Mosiac is a striking contemporary mosaic tile of which will bring any room up to date. This pack of 10 tiles are sleek and ooze design flair. This Verona tile is fantastic for a whole room decorative solution or will also have a hugh impact used just as a feature wall. Adding both texture and depth to your room, this striking mix of natural materials including glass, stone and metal will add detail, interest and glamour to your room of choice. Another choice of fashion inspired mosaic tile is the Verona Izen Matt Chevron Wall and Floor Mosaics. 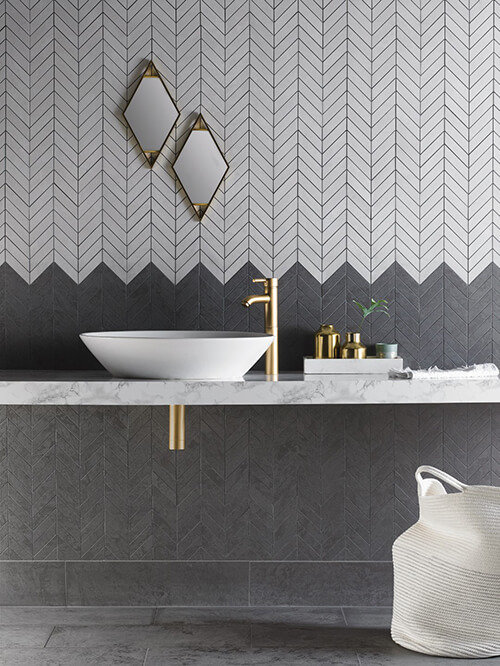 This stunning chevron shaped small tile makes a bold statement again as either an all four walls or one specific wall option. This unique shaped mosaic is growing quickly in popularity, a trend not looking to go anytime soon. Available in black and white, these mosaics look great in a singular colour option or together as a beautiful monochrome palette. At Building Supplies Online, we also offer the extended ‘Al Fresco’ range of Verona tiles allowing their creative and exquisite range to be used outside as well as inside. Available in colour options of graphite, grey and sand such as the Verona Al Fresco Matt Sand Porcelain Floor Tile. As these tiles can be used both inside and outside, you could combine these tiles in a conservatory, orangery or sitting room and use these tiles in your outdoor seating area to have continuity and a sleek overall look to both areas. With our range of Verona wall and floor tiles you are spoilt for choice, but which ever style you go for you will not be disappointed. Don’t hesitate to give us a call or join us on live-chat if you have any queries at all regarding our Verona range, our knowledgeable team are always happy to help. If you'd like to keep up to date with our latest exclusive offers, ideas, and inspiration please sign up here.